Shredding confidential paper or paper shredding services are provided to you by Security In Shredding. We provide excellent across Limerick, Cork, Galway, Dublin, Waterford and throughout Ireland. Security in Shredding put their customers’ needs first. For continual business customer retention is vital. This is achieved by maintaining a very high level of customer satisfaction. How is this achieved, one is may ask? 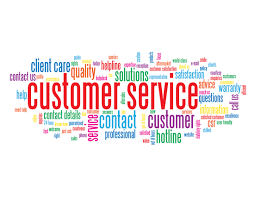 The answer is simple; give each of your customers’ first class treatment, work with the customers’ requirements as best as is reasonably possible and if you are unable to provide the service the customers’ requires then suggest an alternative company whom has the ability to provide the service required. If a client no longer uses the services provided by Security in Shredding and this is identified, a customer care call is made to that client to identify if there is or was an issue with previous service deliveries and to find the reason for their discontinuity. Security in Shredding helps the client to realise that they are a valued customer and Security in Shredding focus on their resolving their concerns and appreciate them for their previous business. As Security in Shredding are EN 15713 certified service providers, hold a valid up-to-date ISO 9001:2008 Certification and Security Screen all its personnel; Security in Shredding has the ability and capability to provide both onsite and offsite data destruction services across the whole of Ireland on a professional and confidential level that exceeds its competitors. Security in Shredding provides a highly secure, professional, confidential shredding service for Munster, Leinster and Connaught regions. It has an untarnished record to date and an extremely high customer satisfaction rate with much of its work being acquired from 87% of its customers. Numerous testimonials can be provided upon request. If you wish to become avail of the secure, confidential, professional shredding services, pick up the phone or send an email to a member of Security in Shredding’s friendly customer care team. This entry was posted in Confidential Shredding, Data Destruction, Data Protection, Identity Theft, Off Site Shredding, Onsite Shredding, Paper Shredding, Recycling by Security in Shredding. Bookmark the permalink.